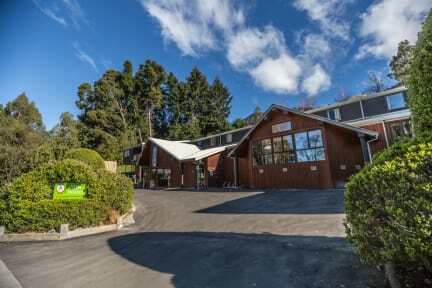 A comfortable fully equipped hostel sitting right on the shores of Lake Wakatipu, offering enchanting views of the lake and mountains. If you want to experience the beauty and excitement of Queenstown but still get a good night's sleep, then YHA Queenstown Lakefront is the hostel for you and it's only a 10 minute walk into town. We have friendly staff with vast amounts of local knowledge provide you with a free travel booking service and let you in on the latest YHA special deals from Queenstown's diverse menu of adventure. Queenstown is the place where you can do it all. Known as the adventure capital of the world you will be spoilt for choice, from bungy jumping to jet boating and sky diving to canyoning. For those with more gentle pursuits in mind, cruise the lake on the old steamship the Earnslaw, visit historic Arrowtown, take a Lord of the Rings tour or enjoy the excellent local wineries. Don't forget the splendour of a day trip to Doubtful or Milford Sounds. In winter take to the slopes on any of a number of easily accessible ski fields. At the end of an exhilarating day enjoy a romantic dinner at one of the many world class restaurant. We have, Japanese, Portuguese and Spanish speaker staff available. Please note cancellation must be made at least the day before arrival before 6pm.